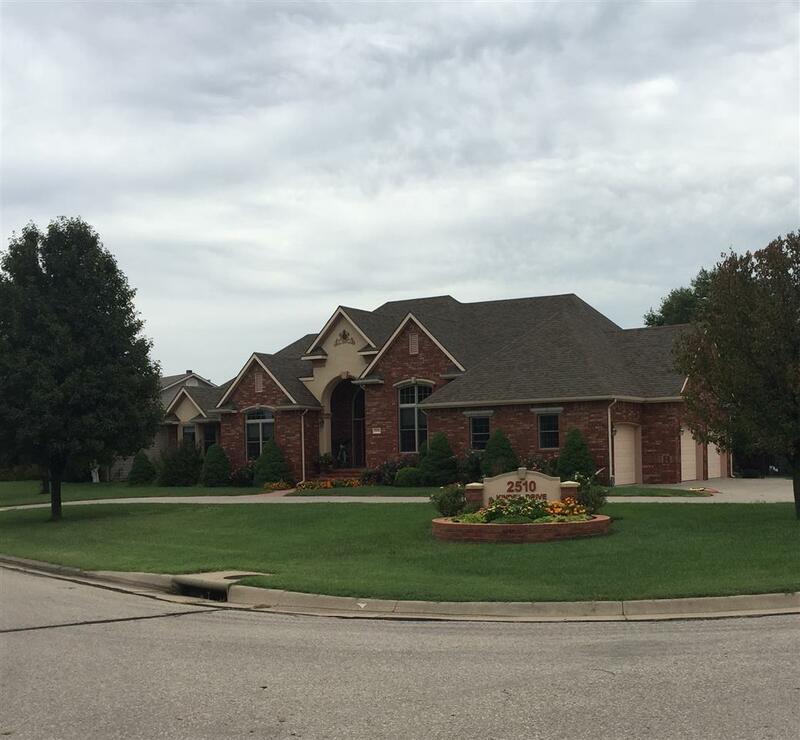 Beautiful 5 bedroom, 3 1/2 bath traditional style home in NE El Dorado. Attractive brick and stucco exterior and lovely landscaping welcome you home. Impressive room sizes allow plenty of room to entertain which is what this home was built for. Soaring ceilings and stunning architectural details throughout give this home so much character rarely found in a newer home. Kitchen boasts maple cabinets with tons of storage, Corian countertops, butler pantry, and hearth room. Master bedroom has private sun room, his and her walk- in closets, and is large enough to accommodate large furniture. In the basement, you will be delighted to find a wet bar, game room, family room and access to backyard off of the game room. The backyard is fenced with a composite deck that requires minimal maintenance. Garage is insulated with heat. Schedule your showing today!